What Will the Call Do in YOU? Do you feel compassion for those who are less fortunate? Do you want to really make a difference in the lives of others? Do you feel called to serve the poor or teach in an urban school? Are you sensing a prodding to invest yourself in an under-served community? Do you have a driving compulsion to reach at-risk youth and/or young adults in need? If you feel the tug of these questions, you may be hearing your calling to serve. Recently I was digging through some old files I used previously for training in youth outreach and educational settings. I found an old document, titled “What Being a Youth Worker Ought to Do for You.” This one page of ought to statements have been passed around youth ministry circles for years. When I worked for Young Life these words repeatedly helped challenge and encourage myself and others to serve. These ought to statements are such a realistic, powerful and challenging set of truths. I have used this piece and adapted it to fit many different scenarios; whether it has been working with privileged youth, under-served youth, schools, or whole communities. Instructions: Read, allow time to marinate, and digest slowly. Ought to seem so unreachable and big that you can only see it through the eyes of Christ by faith. Ought to be harder than you can handle on your own, to make you more dependent on God. Ought to give you enough disappointments to make you humble and break your spiritual pride. Ought to be difficult enough to make you weep for others, that you might become more compassionate. Ought to have enough demanding, insensitive, ungrateful people in it to make you love like Jesus loves. Ought to have enough impossible, insurmountable obstacles in it to teach you the goodness and power of God. Ought to teach you how to love when you are tired, give when you are spent, and pray when you are weary. Ought to teach you the power and truth of His word, the strength of His voice and the might of His commands. Ought to teach you how to turn your mourning into dancing, your sadness into joy and your sorrow into laughter. Ought to teach you to love the only One worthy of all our love – the One who became poor that you might become rich and unjust so that you might become just. 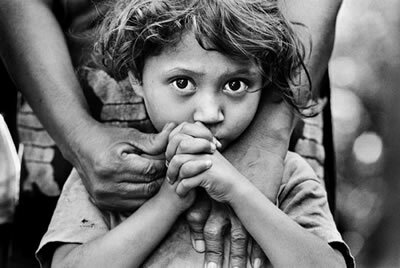 I offer these challenging reflections to any who feel called to be in service to the poor. I offer them as a way to know the power of God, and hoping that this knowledge will lead us to move forward in renewing the city with compassion, hope, and justice. Proverbs 29:7 NIV – The righteous care about justice for the poor, but the wicked have no such concern.